This week I was asked why original Medicare isn't enough. Many of you know that I get a lot of referrals from Senior Communities asking me to assist their clients in moving from Medicare Advantage Plans to Original Medicare with a Medicare Supplement Plan and a stand alone Drug Plan. 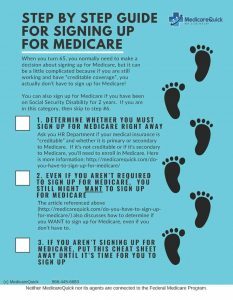 I’ve spoken to a few people who were told to “Go back to original Medicare” and they tried to do this on their own. Unfortunately, by doing it on their own, they gave up an opportunity that they had to get Medicare Supplement Plan on a guaranteed issue basis. Why isn’t original Medicare enough? Why do we advocate having either a Medicare Supplement Plan or a Medicare Advantage Plan? Many people do not understand that Medicare doesn’t cover everything, and most of what it does cover, comes with deductibles and co-pays. Let’s start with Part A, which covers hospitalization. If you are admitted as an inpatient to the hospital, you will pay a deductible of $1260. This deductible covers your inpatient hospitalization for the first 60 days. This is actually a great deal considering what it costs to stay in a hospital! But what happens after 60 days? For days 61-90 the Medicare Beneficiary is responsible for a co-pay of $315 per day (for as much as $9,450 on top of the $1260). If you to need to stay in the hospital for longer than 90 days you will begin to use your “Lifetime Reserve Days” (LRD) These days can only be used ONCE in your lifetime, and once they are gone, you cannot use them again. While you are using your LRD you are responsible for a co-pay of $630 per day, or up to an additional $37,800. If you are unlucky enough to need hospital care longer than 150 days, you are responsible for ALL COSTS. The financial planner in me just can’t wrap my head around this, so for this reason alone, I never recommend that someone have original Medicare and nothing else. Medicare Part A also covers Skilled Nursing Care. This is when you need round the clock Medical attention to recover from an illness or injury. Skilled Nursing Facility (SNF) stays are covered 100% by Medicare for the first 20 days, provided that you have been admitted to the hospital, as an inpatient, for a minimum of 3 days. Be careful here, because many hospitals will admit you for observation, which is actually an outpatient status (and doesn't count). Once you’ve stayed in the SNF for 20 days, you are responsible for a copay of $157.50 per day, or up to $12,600. Medicare does not pay for SNF over 100 days. So that wraps up the Medicare Part A co-pays and deductibles. What about Part B? The Part B expenses are normally what the Senior Communities are worried about, since they traditionally have doctors who travel to their facilities. These doctors (in my experience) usually do not accept MAPD plans. Here in San Diego, these doctors want their clients to be on “original Medicare”. What would your costs be if you only had Original Medicare Parts A and B and needed to utilize care? If you only have original Medicare, you will have co-pays , coinsurance, and deductibles for Part B as well. The first that you will run across is the annual deductible. In 2016 this deductible will be $166, and it can change every year. Once your deductible is taken care of, your cost to see the physician will be 20% of the approved amount for the service, plus a potential additional 15% of the approved amount for the service if the physician does not accept assignment. So your potential cost could be up to 35% of the approved amount. Be sure to ask your provider if he or she accepts assignment. Medicare usually covers 100% of laboratory services, home healthcare (remember, this is not for activities of daily living, home healthcare that Medicare pays for us usually in concert with Skilled Nursing). You are also responsible for the first 3 pints of blood, and 20% of the approved amount for additional pints of blood. How much does blood cost? It seems to be a big secret… when I called the blood bank I couldn’t get an answer, but a “rough guess” would be around $500 per pint. If you are unsure, contact your hospital or clinic to see what their prices would be for this. Lastly, for outpatient hospital treatments, you will have to pay a coinsurance amount based on the outpatient payment rates. So there you have it. These costs are why you don’t want to have original Medicare and nothing else. Having a Medicare Advantage Plan gives you a “Maximum out of Pocket” (MOOP) expense and having a Medicare Supplement Plan will mean that some, if not all, of the expenses outlined above will be covered. Keep in Mind that unlike Medicare Advantage Plans, Medicare Supplement Plans never cover items that are not covered by Original Medicare for example, a SNF if you didn’t stay in the hospital as an inpatient for 3 days. If you need more information, please feel free to give us a call at 866-445-6683 or use our Contact Form.